Beckie Winston, owner of Salt Lake City’s Maison Confiserie & Boutique, is a woman after your sweet tooth. On display behind the counter of her beautifully curated shop sits a collection of 56 big jars, each one holding a different type of what used to be called “penny candy.” Think pale pastel satellite wafers, candy buttons on strips of paper, red sour-cherry balls and little wax bottles with sugary punch inside. They’re all available by the piece, as are a terrific selection of gummy candies. Winston says the inspiration came from a childhood fondness for saving pennies for a weekly walk to the Superette, a little (long gone) market on Vine Street in Murray. She would stand in awe of the candy selection, picking and choosing, making the most of her precious coin to fill up a little paper bag of sweets. 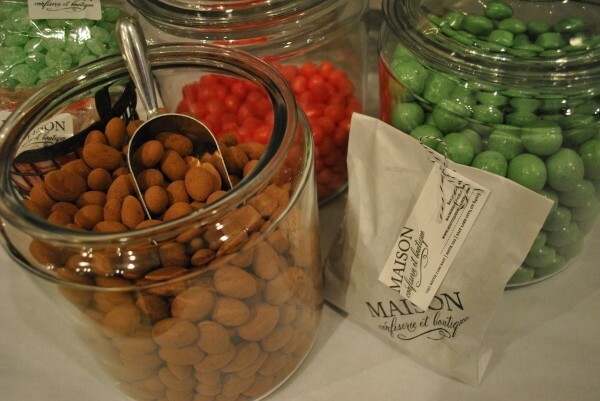 Maison also offers more grown-up treats by the piece, including sea-salt and tiramisu caramels, dark-chocolate-covered honeycomb, chocolate-covered potato chips and licorice “chalk” from Holland. Her biggest sellers, however, are some dreamy oversize malt balls—triple-dipped in dark or milk chocolate. Candy prices range from 20 cents to 80 cents per ounce.